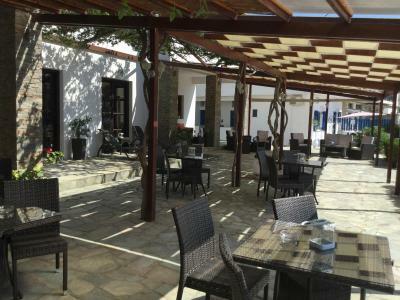 Lock in a great price for Asteri Hotel – rated 9 by recent guests! My stay started with a wonderful welcome smile from the owner Christina. 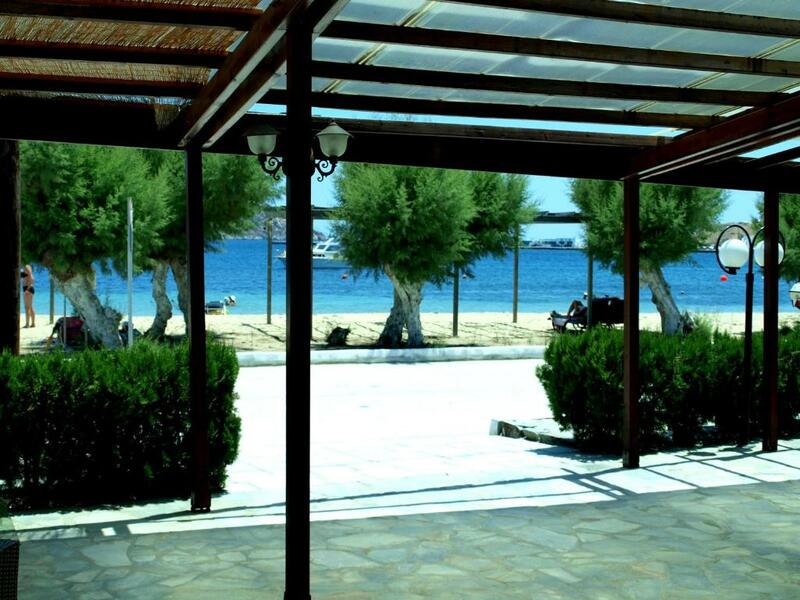 I got a room in upper floor with a big veranda,direct on a lovely beach. Big very clean and very quite room. Amazing breakfast with lots of homemade desserts and jams, fresh cucumbers from the garden and tomatoes. Pity that I didn't had more time to stay there. 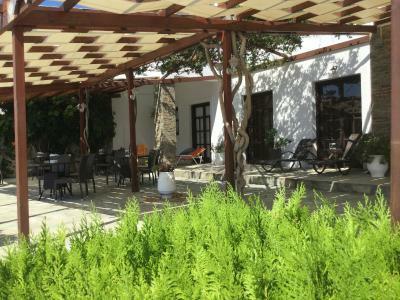 I promised Christina to recommend the ASTERI HOTEL and I will come again on September. Staff was VERY nice, room oddly arranged, but fine, location very nice, close, but just out of noise. we recommend it unreservedly. 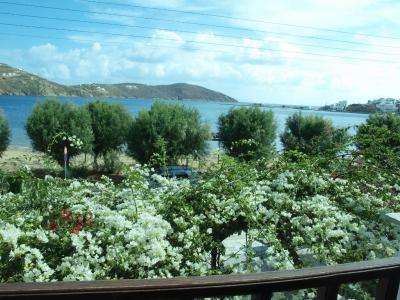 Ideal for relaxation, rest, just few steps from the beach. 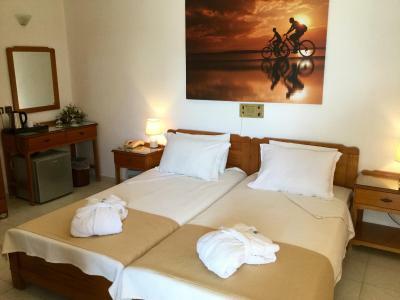 A wonderful, modern hotel with comfortable rooms overlooking a nice beach where there were free sunbeds for the guests of the hotel. They even gave us towels to bring to the beach. The balcony was fine with good furniture. 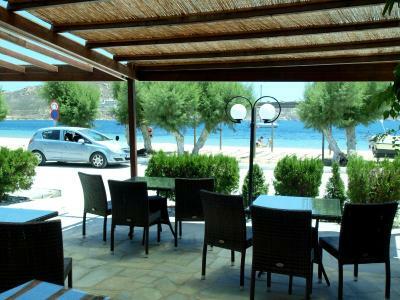 The best place and hotel in Serifos. The best hosts. Friendly and always there for your needs. The hotel and it's owner/manager Christina were lovely, it is a charming hotel in the perfect location. 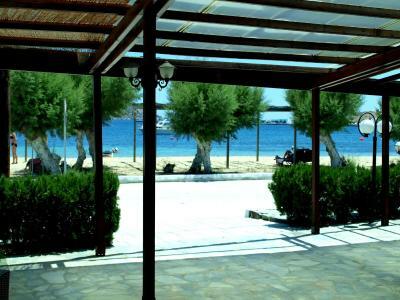 It is not luxurious but it is an authentic, clean and charming basic island hotel experience. I would go again. 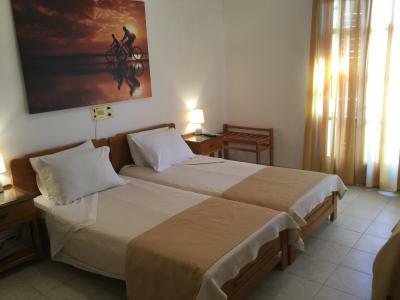 Asteri Hotel This rating is a reflection of how the property compares to the industry standard when it comes to price, facilities and services available. It's based on a self-evaluation by the property. Use this rating to help choose your stay! 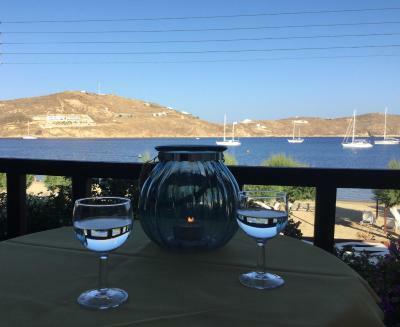 Just a few feet from Livadi Beach in Serifos, Asteri Hotel offers air-conditioned rooms with Aegean Sea view from their furnished balcony. Free Wi-Fi is available throughout. 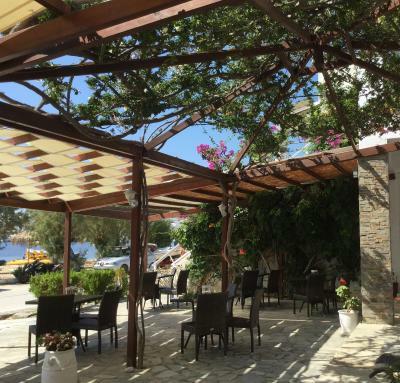 Seaside taverns and cafés are within short walking distance. Bright and airy, all rooms include a flat-screen TV and mini fridge. 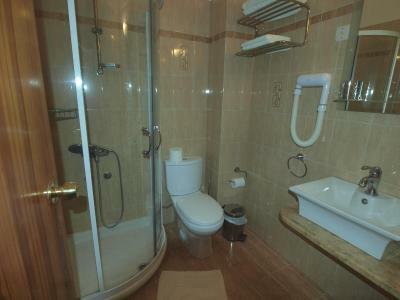 Featuring tiled floors, each has a private bathroom with a shower and hairdryer. Breakfast is served each morning in the spacious breakfast room, while snacks and light drinks are served at the café located right on the beach. 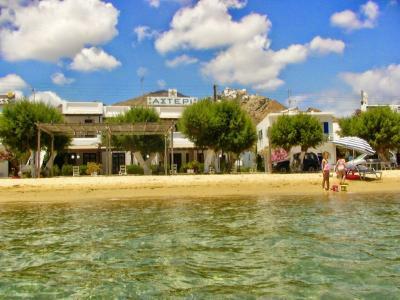 Asteri Hotel is located 2 minutes’ drive from Livadi Port and 3.1 mi from the scenic Serifos Town. Free 2-way transfer from the port is provided. 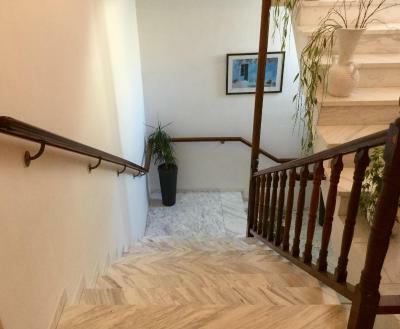 This property also has one of the top-rated locations in Livadi! Guests are happier about it compared to other properties in the area. When would you like to stay at Asteri Hotel? 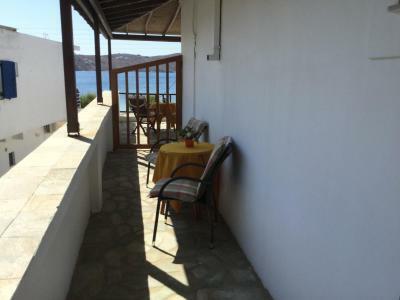 The room opens to a balcony with view to Serifos Town. Air conditioning and a safe are included. This double room has a balcony, patio and bathrobe. House Rules Asteri Hotel takes special requests – add in the next step! Asteri Hotel accepts these cards and reserves the right to temporarily hold an amount prior to arrival. 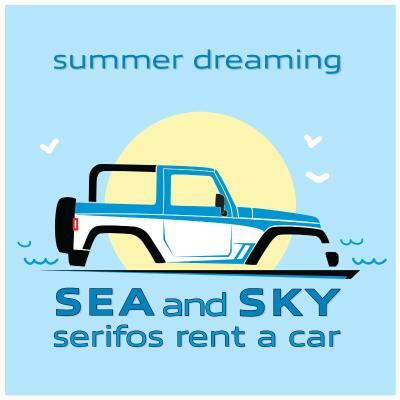 Please note that the hotel offers free transfer to/from the port. Guests are kindly requested to inform the property in advance if they wish to make use of this service. Contact details can be found on the booking confirmation. The tobacco smoke from other balconies ..... A bit noisy during the weekend, when people would use the sunbeds to sit and talk late at night. Super clean, wonderful owner and staff.